Several weeks ago, I shared with you some goals that I have for this year. I have to be honest…I’m not doing very well with most of them. I have not quit on any of them; I’m just not accomplishing what I would like to. On the positive side of my goals, I am reading more now than I ever have in my life. I’m keeping up with reading the Bible every day so that for the second year in a row, I’ll read the Bible through. I also have completed six other books so far. As I have stated in the past, this is a major accomplishment for me. I know people who are reading a book every couple of days. Many people have more than one book going at a time, which sounds crazy to me since I have a hard time reading just one book. But maybe I will get to that point in the future. I am reading a book every couple of weeks right now. Who knows if my speed will increase throughout the year? I guess we will just have to wait and see. 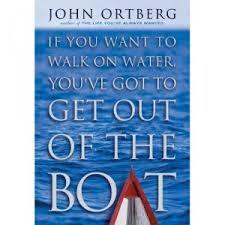 I would like to introduce you to two of the books that I recently completed: In A Pit With A Lion On A Snowy Day by Mark Batterson and If You Want To Walk On Water, You Have To Get Out Of The Boat by John Ortberg. Both of these books are based on biblical stories about two men who were willing to go against all odds and accomplish something great in their lives. In A Pit… is about a obscure man in the Old Testament that becomes King David’s chief body guard as well as the leader of Israel’s army. The first introduction of Benaiah is found in 2 Samuel 23:20-21. The Bible does not tell a lot about Benaiah except he was fearless when it came to battle and lions. The second book is based on a much more familiar person in the New Testament — Peter. The book is based on the time when Jesus walked on the water and Peter joined Him. Peter actually walked on the water with Jesus for a period of time before the problems arose. The story is found in Matthew 14:22-33. Both of the books challenge the reader to evaluate their concept of God and His ability to handle situations that arise in life. Is God present in your life? Does He care about what you are going through? Is He big enough to handle the fiercest “lion” that you might come across? Can The Creator of the Seas calm any storm that is raging across the storms of your life? All of these questions have to be answered before you are able to fight the lions or walk on the water. Too many times, a person evaluates the situation by the standard of their own abilities. Do you know of anyone that has walked on water? I have gone to the beach of the Gulf of Mexico many times in my life. I grew up just miles from the Gulf. Every time I began to walk out into the surf, my feet would always stay on the sandy bottom of the gulf…not one time did I ever walk on a wave. Honestly, I never thought about the idea of walking out on the water. I just knew that I could not ever do that. Do you really think that Peter had an idea of walking on the water? I believe that he might have even thought about just swimming to where Jesus was. After all, he was a fisherman. He grew up on the Sea of Galilee and I am sure that he went swimming just to cool off on hot afternoons after fishing all day. Yet when he stepped out of that boat, he did not sink. His feet stayed on what felt like solid ground. John Ortberg paints a picture of Peter walking on the water that is very clear to the reader, like you are sitting in the boat with the 11 other disciples watching in disbelief of what is taking place. 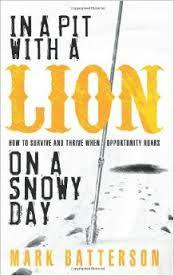 Mark Batterson also illustrates the events of Benaiah chasing the lion into a pit in such a way that you are able to visualize the events of that infamous day in his life. It was the beginning of a story of him becoming a great warrior in King David’s army. It all began with an event of faith and courage. I wonder what God is asking you to do that would cause you to be challenged to do something out of the ordinary for you. I know that I feel on many occasions that I am walking on water in this ministry. Most of the time, I’m sinking and therefore crying out to Jesus to “save me.” He always picks me up and puts me back on solid ground. He then asks me about my faith in Him and His abilities. Do I have the courage to actually chase a lion? Probably–if he is the Cowardly Lion. I am not sure what I would do if he were a real lion. Do I believe God can give me strength to chase, capture, and kill the lions that are placed in my path of life? I DO believe. Now, will I put that belief into practice? What about you? Do you believe? The links are amazon affiliate links. If you buy the books through the links, I get a portion. Who Is Responsible To Make Me Happy? Have you ever been unhappy in your marriage? I know that I have been. In the past, Lisa’s and my marriage was in a lot of trouble. If you are honest with yourself, you too probably have been unhappy in your marriage. Many years ago, I spent a lot of time trying to compare my marriage to other marriages around me. I would see how some women would put their hands on their husband’s thighs and I would wonder why my wife never did that. I would watch other couples laugh and play together and again wonder why my wife and I were not laughing together or playing together. These thoughts tormented me for a few years. Oh, I really did not want to leave the marriage. I was committed to the marriage because of my belief in God and what the Bible says about marriage. I just was not “happy” with how some things were going. Just writing that opening paragraph brings back some bad memories in my marriage. I was a jerk!! I was more concerned with my “ministry” than I was with anything else. I ignored my family so much because of what I thought I was supposed to be doing for the church. Thankfully, my wife had the same commitment to marriage that I did because of our similar beliefs. We really struggled because of the lack of attention I gave to my wife and children. At the same time I was “unhappy” because of how she was treating me. feeling pleasure and enjoyment because of your life, situation, etc. pleased or glad about a particular situation, event, etc. Notice that the emphasis of the definition is on the pleasure of the circumstances surrounding you. With this definition, happiness can be fleeting or temporary. The origin of the word in the 14th century actually meant lucky or fortunate. Can a person who we would consider unfortunate be happy? I looked up the word happy in the Bible. In the Old Testament, the word is used 18 times. Each time the Hebrew word was also used as blessed. The same is true in the 2 times in the New Testament. I use the NASB ’95 translation. If you use a more modern translation such as the NLT, those numbers will be different. The NT word for happy is “makarios” and it is translated happy or happiness only twice while it is translated blessed 63 times. In other words, we are most happy when God is designing us to be more like Him. True happiness is found in our relationship with God and what He is doing; not in our circumstances. SO HOW CAN WE BE HAPPY? Are we right with God? I’m not asking if we are perfect because that’s not even a possibility. But is our desire to be pleasing to God? Do we want what God wants in our lives? Those questions help us understand if we are right with God. Are we right with our spouse? 1 Peter 3:7 (NASB95) 7 “You husbands in the same way, live with your wives in an understanding way, as with someone weaker, since she is a woman; and show her honor as a fellow heir of the grace of life, so that your prayers will not be hindered.” In order for us to be right with our wives, we must be working to understand them and to treat them with the love that God desires. I know that when I was the most unhappy in my marriage, I was not trying to understand my wife nor was I loving her with an unconditional love. I was being very selfish and only thinking about my needs or desires. These thoughts led to much unhappiness and strife in my marriage. Now, I truly seek to love my bride unselfishly. I’m not perfect, but I am trying. Are you working to make things different? Some of our circumstances can be changed. The ones that need to be changed can be changed. Are you unhappy about how much you weigh? What are you doing to change that? The pounds do not fall off just because you want them to. You must do something different. Are you unhappy about the clutter in your house? What are you doing to change that? There are no cleaning fairies that I know of. If you know of one, tell me about it. We have to make the changes that we can change. Are you praying for things to change? There are many of our circumstances that we cannot change. Some of them God wants to use to change us. Some of them only God can change. Are you praying about them? When we lose sight of what God is doing, we can get very unhappy. Praying brings God back in focus. God’s work brings a deeper happiness than our circumstances can ever bring. When we lose sight of what God is doing, we can get very unhappy. Praying brings God back in focus. Our true happiness depends more on our attitudes and our choices than any thing else. Our circumstances are always changing. One day the sky is clear so that we can see and feel the warm of the big fireball in our sky. The next day, the sky is cloudy or it’s raining. Is the sun still in the sky? Of course, we just can’t see it or feel it. God is always present in our lives. It is up to us to look for Him and what He is doing. One of my goals for 2015 is to read two books per month, not counting the textbooks for the classes I am taking. So far I am keeping up with that goal fairly well. I have read three books this year. The last book that I read was a fiction book. I had not read a fiction book since college, I guess. I am not even sure that I read any in college. Professors assigned fiction. We would discuss those assignments. The professors tested us over them. But did I read them? Probably not based on my grades and my reading habits in college. The book that I read this past week was The Impressionist by Dr. Tim Clinton along with Max Davis. 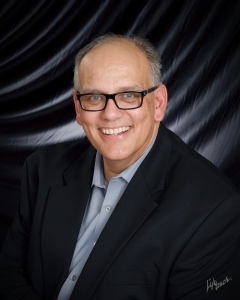 Dr. Clinton is the founder and president of American Association of Christian Counselors. He has written several counseling books and manuals, but this book is his first work of fiction. As I began to read The Impressionist, I was almost immediately sucked into the story line. I could feel the frustration and fear of the main character as he and his wife fought. I was hooked!! I did not want to put the book down. Now for me to say that is something. I have admitted that reading is a chore for me. I have seen my wife and my kids read for hours and hours. I just thought they were crazy. I had never had that experience until now. The first night I read well after midnight. I didn’t fall asleep while reading. I actually had to make myself put the book down and go to sleep. I couldn’t wait until the next night to pick it back up and continue through the journey. That second night I actually finished the book; again well after mid-night. No sleeping in the middle. No losing my place because I nodded off. Just hooked into the story and wanting to know what was going to happen next. When it was over, I was a little disappointed that there wasn’t a complete resolution in the main story line. I wanted the story to continue until everything was resolved. I guess I have to allow my own imagination to complete the story. While I said that I could feel the fear and frustration of the main character, I was mostly moved by the protagonist in the story. He was an elderly man who had been hurt and mistreated most of his life in many different ways. Yet, God had led him to be a forgiving and gentle man. He was insightful and bold. He was ready to help others as God led him to them. As I read about Jim Ed, I began to question if I had some of those characteristics. No, I couldn’t relate to the mistreatments of his life entirely. But I realized that the story of what God has done in my life can be shared with others to help them through the journey called their life. I pray that I will be just as insightful and bold as I share in the ministry of helping others. I would recommend this book to anyone. The story flows well. It has drama and humor. It will make you laugh as well as cry. Now that I have read this fiction book, do you have any suggestions for me to add to my reading list for 2015? I would love to hear what you are reading. Have you ever had those thoughts? Maybe you have even said something like one of those statements before. I know that I have had thoughts like those in my life. Being hurt by someone that you love is one of the worst experiences in life you can have. There are only a few that I can think of that might be worse…but those are for another discussion. One of the biggest misconceptions of forgiveness is that of “Forgive and Forget.” We have all heard someone say, “just forgive and forget” whatever has happened to you. God did not make our brain to forget. As a matter of fact, God made our brains to remember. When we experience something in life, we remember better than something that we have heard or read. That is why experience is such a good teacher. That is why in school teachers assign homework and lab work so that we can experience what they are trying to get across. The fact that experience is a good teacher is also why so many jobs have on the job training and internships, because we learn by experiencing. So if you think you can just forget some hurt that you have experienced, you are asking you brain to do something that it is not designed to do. Forgiveness means that you choose not to focus on the hurt. Think about Ephesians 4:32 (NASB95) Be kind to one another, tender-hearted, forgiving each other, just as God in Christ also has forgiven you. (emphasis mine) God tells us to forgive as He has forgiven us. How does He forgive us? His forgiveness is based on His own love for us. Romans 4:5 (NLT) 5 But people are counted as righteous, not because of their work, but because of their faith in God who forgives sinners. (emphasis mine) We cannot earn God’s forgiveness; it is a gift based on the giver, not the receiver. He remembers our sin no more. Hebrews 8:12 (NLT) 12 “And I will forgive their wickedness, and I will never again remember their sins.”* (emphasis mine) We need to notice that this is a choice that God is making. It is not a statement of forgetfulness, but rather a choice not to remember. Someone might accuse me of playing a game of semantics, but I think that this distinction is very important to our ability to forgive. We can choose to not remember something better than we can forget the same thing. By choosing to not remember, we are saying that we will not focus on the wrong. We will focus on God’s love for us and for the person who hurt us. 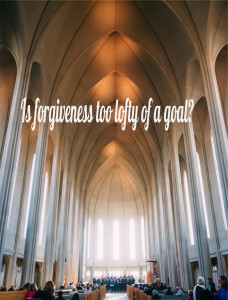 Then finally, HIs forgiveness is continual. 1 John 1:9 (NLT) 9 “But if we confess our sins to him, he is faithful and just to forgive us our sins and to cleanse us from all wickedness.” Even though God knows that we will continue to sin, He continually offers forgiveness. We need to keep this fact in mind, especially when we are talking about forgiveness in marriage. Our spouses will continually disappoint and hurt us throughout our marriage, maybe not intentionally, yet it still hurts. God continually forgives us when we wrong Him. We need to have the same attitude toward the people who hurt us. Forgiveness is something that we all need to work on. Our ability to forgive is strengthened by our awareness of how much God has forgiven us. 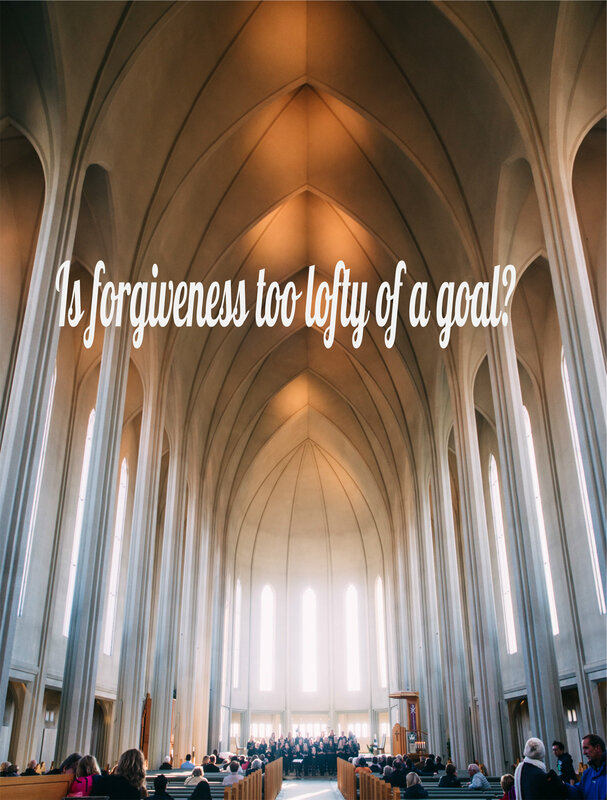 What ways have you noticed God’s forgiveness in your life that you can pass on toward others that have hurt you? 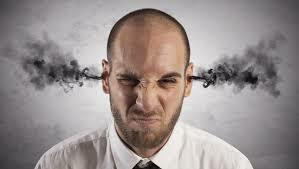 I had a young man come into my office recently who showed signs of intense anger. As we talked about what was bothering him, it became obvious that his anger had very deep roots. For his homework, I asked him to make a list of everyone that had hurt him in his life. He came back several days later with his list. “This list was difficult to write everyone down. I remember being bullied in elementary school and I am just waiting for the opportunity to get them back.” As I listened to him recount the things that had happened in his life, I began to understand why his anger was so deep. He had held a grudge toward everyone that had hurt him in any way and he was just waiting for the right time to start getting pay backs. How many of you have felt that way before? You just couldn’t wait to get someone back for hurting you. I can remember feeling that way many years ago. The main problem with those feelings is that the person who does the hurting has long since forgotten the event and you are the one that is still being controlled by those negative feelings. As I told this man, “you are holding on to something that happened more than twenty years ago.” The offender has totally forgotten the situation and possibly has forgotten you. So what do you do about these feelings of desiring revenge? How do you overcome them? How do you heal from the hurt so that your anger can heal? Acknowledge the hurt. What happened that created the sense of hurt in your life? Who was the perpetrator? Write it all down. Replace the false beliefs with The Truth of God’s Word. I am a child of God. I am a friend of God. I am redeemed. There are so many more, but these create a good starting spot. Understand that it is God’s place for vengeance. 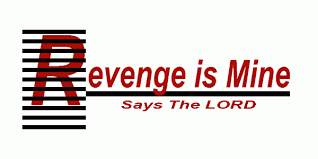 Romans 12:19 tells us that it is God’s place to get revenge because of His perfect anger. Our revenge is not motivated by love or holiness where God’s is. Confess your sinfulness of wanting revenge. Understand that wanting to hurt someone because they hurt you is a sin. Forgive the offender. By forgiving the offender, you are releasing your desire to get revenge. You are also choosing to let go of the negative feelings associated with the event. By forgiving the offender, you are trusting God to do what He desires in the offender’s life. Anger is a cancer that will continue to eat its way through your body and destroy you if you do not take action to release it. Revenge will not release the anger. It might satisfy it for a short while, but the anger will continue to burn within you. Learning to forgive and to allow God to do His work will bring about a peace that cannot be explained in human terms. That peace will lead to joy in your life. What would you add to these steps of working through your anger? How have you turned things over to God for His healing? The 2014 MLB season for the New York Yankees has been a farewell tour for their captain, Derek Jeter. He was given all kinds of different gifts as he went into each stadium through out the year. His gifts ranged from cowboy hats and boots to surf boards to a bronzed bat to donations to his charitable organization, and the list goes on. At one time the manager of the Yankees said that he thought he was supposed to be managing to win, not making sure Jeter played in every game. For all of the Yankee fans, this season was a disappointment as they failed to reach the play-offs for only the third time in the past 20 years. 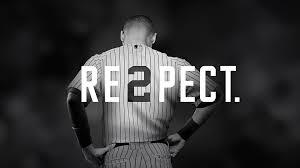 The one aspect of this year, especially the last couple of weeks of the season, that caught my attention was the re2pect that the baseball community along with everyone else paid to The Captain. Other people have had better career numbers than Jeter. Other players have had better range as a short stop and a stronger arm. 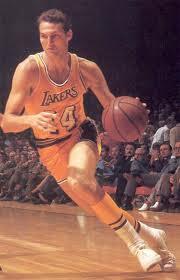 Others have played as long as he has, while some even played longer. What made this year long celebration so much different than any other? Why would the opposing teams, including their number one rival The Red Sox, give Jeter a standing ovation when he came to the plate to bat? Why did teams give him such elaborate gifts and honor him in so many ways this year? He played the game the same every day. It did not matter if it was a World Series game or the first game of the season; he gave it his all. Did he make mistakes? Did he go hitless? Yes he did. But you knew if he was on the field, you were going to see his best. He also expected his teammates to play their hardest and best regardless of the situation of the season. He is a man of integrity. Tom Verducci wrote an article for Sports Illustrated that illustrates Derek Jeter as a man of integrity. I know that Jeter has never professed to be a Christian. I also know that he has been the most eligible bachelor in New York for the past 20 years. I am not touting his personal lifestyle, nor suggesting that he should be our hero. I am simply pointing out that he could be counted on and he was a man of his word. He’s never been in trouble off the field. He has been seen as an eloquent man that was able to handle any situation with class. This characteristic has kept him out of trouble in so many ways. Why would I, a biblical counselor, write about a sports star who just retired? Am I promoting a man? Am I idolizing someone who played a game for a living? I am writing about Derek Jeter at a time when so many sports stars are known more for their off-field issues than their talents on the field. I know that Jeter is not a perfect person, but I believe that we can learn from The Captain even if he does not represent our Savior and confess our beliefs. Do we give our best, no matter the circumstances? When we are at work, are there days that we give more than other days? Are there projects that we feel better about so we pay more attention to them than we would other, smaller projects? As I ask these questions, I am faced with some of my own inadequacies. There are some things that I do in my ministry that I really enjoy, therefore I give them my best effort. That is not always true of some of the more mundane tasks that I must accomplish. 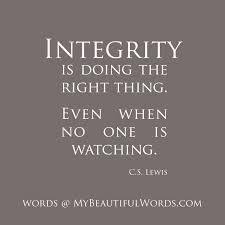 Are we people of integrity? If we tell someone that we will do something, will it get done? Several years ago in a seminary class we were encouraged to follow through at that moment when someone asked us to pray for them. I was reminded of that just recently on FaceBook as my friend prayed for someone in the store. She stated, “I might forget to pray later so let’s pray now.” It is very important that we maintain a very high level of integrity as Christians. Are our private life and our public life the same? When people get close to us and begin to know who we really are, do they find a difference between what the general public sees and what we portray when we are not in the public eye? God is always with us. Even if the cameras are not rolling, God sees what we are doing and who we are. These characteristics are some of the reasons why Derek Jeter became an icon for an iconic team in an iconic city. He did this on his own. He learned and grew and developed into who he is today. As a believer in Christ, I am challenged by scripture to be a reflection of Christ in all that I do. God does not just put that information in a book for us to learn. 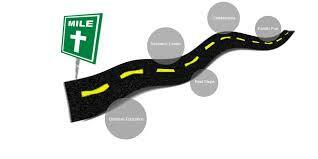 He gives us the Holy Spirit to reside within our spirit so that He can teach us and direct us on a daily basis. God never leaves us alone for us to fend for ourselves. He is ever present in our lives. As Christians, do we live in a way that other people would respect our life style? Or are our lives really opposite of what we say we believe? 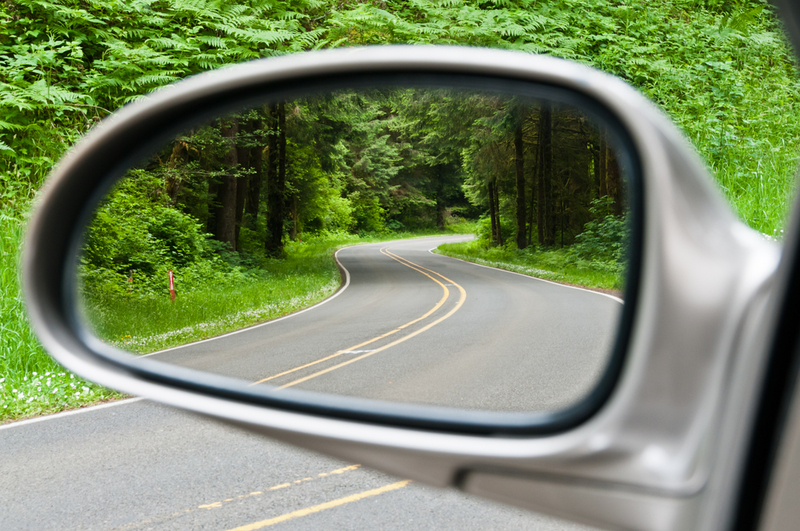 Today, what changes need to be made in your life for you to be more of a reflection of Jesus Christ? Confess what is not right as sin and repent of that. Ask God to teach you how to be more like Christ every day. He will answer you!